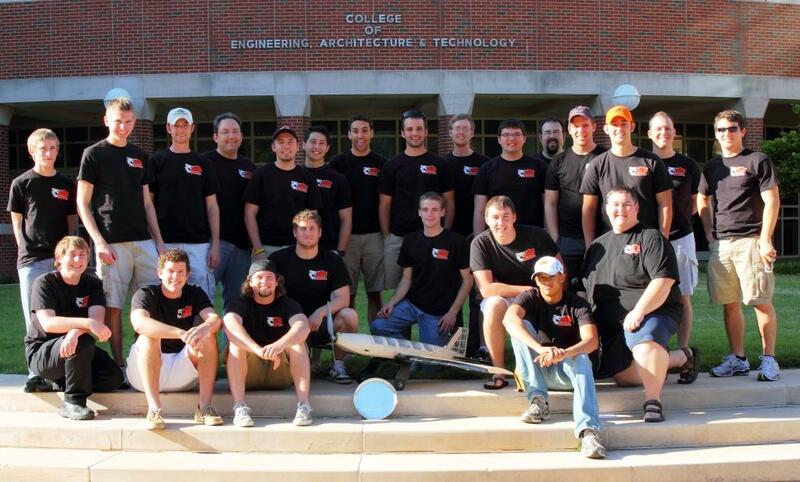 "Shredder" was designed to compete in the 2009/2010 AIAA/Cessna/ONR Design/Build/Fly contest, held in Wichita, KS in April of 2010. The aircraft was designed for a simulated cargo plane mission. Within this mission were three objectives. Mission one was a ferry flight, where score depended on weight of the system and flight time. 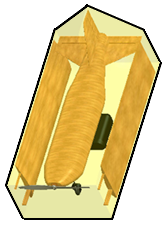 Mission two was a loading mission, where softballs were loaded into the fuselage of the plane. Score for this mission involved weight and loading time. Mission three was a cargo mission, where ‘bats’ had to be attached to the outside of the plane. Score for this mission was based on number of bats carried and flight time. 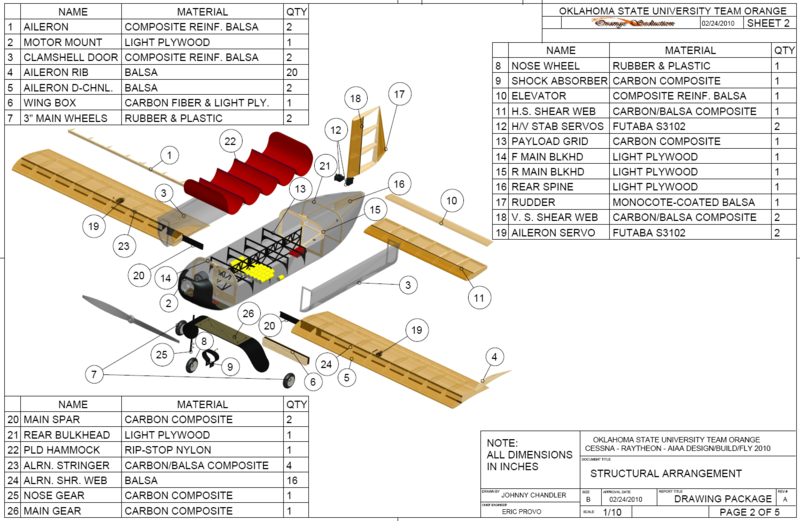 Several design constraints were placed on the planes, such as battery number, use of certain types of materials, and where the two types of cargo would be carried. Optimization was done for the required missions, and "Shredder" finished in first place at contest. 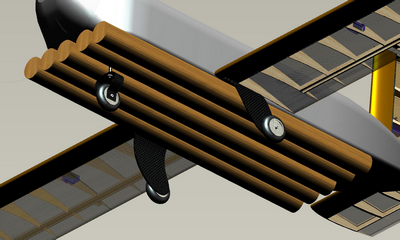 Internal payload grid with "hammock"
Take off at gross weight (GW): 65.7 ft. The 2010 DBF profile involved three missions. The variables worth the most points in the score were the loading time for mission two and the system weight, which was factored into two missions. Overall score was calculated by multiplying total flight score by written report score. Avoiding cg change with the differing missions. Electric motor, and NiMH, or NiCd batteries required. Loading the softballs as fast as possible. 4 ft X 2 ft X 2 ft box limit. On Saturday morning, OSU Orange was in first place because of report score. This meant that they flew first for each new mission set. 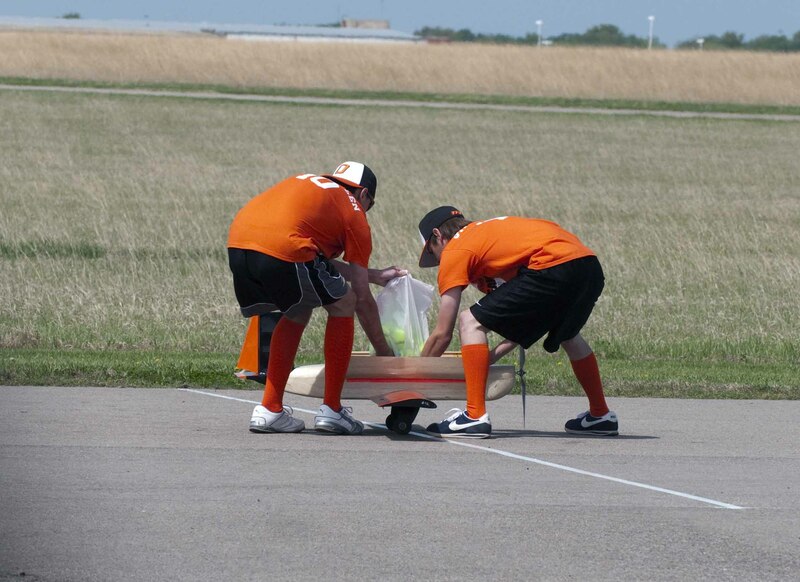 Because of flight scores for missions 1 and 2 on Saturday, Orange team was in close competition with OSU Black and Purdue by the end of Saturday. There was time, however, for one more flight. OSU Orange geared up for mission 3. As the plane went up, the crowd was silent, all eyes watching "Shredder." As the laps were finished, everyone held their breath as the plane came in for a landing. When the plane touched down perfectly, the crowd erupted in cheers. With a shout of "Orange...Power!" the day ended with high spirits. 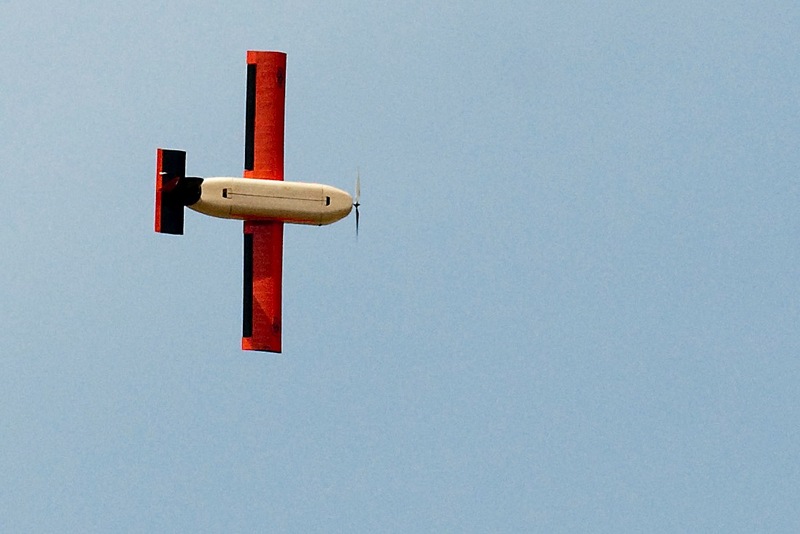 Sunday came, and the other planes in top competition flew the third mission. Scores were neck and neck, and the re-flight would be what determined the contest. The day rolled by, and the team was overflowing with anticipation. Mission 2 was chosen to fly again, as that was the mission that could bump Orange Team's lead up the most. The loading crew had practiced the night before, adapting their loading scheme with the contest rules that had been revealed the day before. When the time came to fly again, the day was once again nearing the end. After the assembly crew set up the plane, the loading crew took their positions. As the timer began, the crowd cheered and screamed, pushing the crew into fever pitch. As the loading finished, the crowd silenced, waiting to hear the time. With a cry of "12 Seconds!" the fastest loading time was posted, and Orange Team's first place lead increased.